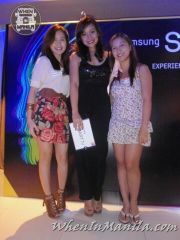 Samsung just launched their new Samsung Smart TV at Seventh High last April 7, 2011. 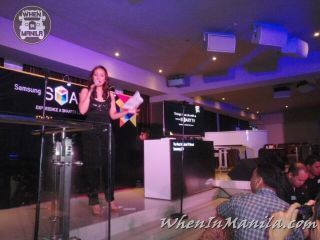 From the airport, I went straight to this event that I didnâ€™t want to miss. Launched as a first-peek to Philippine Bloggers, the Samsung Smart TV guarantees to change the way you look at television and home entertainment forever. 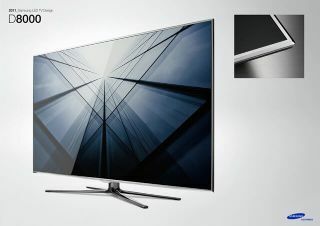 Beyond the current marketâ€™s offering of Internet TV, the new Samsung Smart TV boasts of a unique intelligence where content is suggested based on your viewing behavior which what separates it from competition. 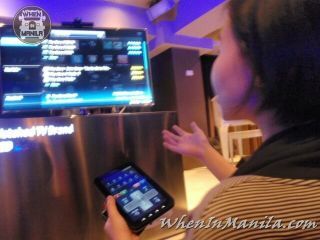 My first impression of the Samsung Smart TV â€“ It looked like a GIANT Samsung TAB! How else is it Smart-er? The new Samsung Smart TV creates an avenue to enjoy web applications â€“ via Smart Hub – into the only shared screen left in the household â€“ the Television. Moreover, it boasts of its powerful features with SocialTV â€“ a function where one can watch television, while posting live tweeter feeds or updating a status message on Facebook, splitting your screen as you want it. It aims to upgrade your immersive experience with its 2D-to-3D upscaling in vision and sound, SearchAll functionality, as well as the its continuous commitment to slimmer and edgy design. Built with an interactive web browser and a home theatre system all in one screen, the Smart TV provides all the answers to your infinite entertainment needs â€“ and makes the viewing experience, more immersive. From finding the latest news and online buzz, to watching your favorite programs and movies, get all of these at the powerful touch of your fingertips. This groundbreaking technology created by Samsung allows every viewer to do as many things as they can in just one gadget. 1. Can connect you to pretty much everything the world wide web world has to offer — and more. Whether it be searching for information online, writing in your blog, expanding your social network in Facebook or Twitter, chatting up with family in Skype, getting updates on the latest news and trends all over the globe, or playing your favorite games, your Samsung Smart TV lets you enjoy all of these while simultaneously tuned in to your favorite TV channel, in one big 3D screen. 2. Wide availability of applications, with a dedicated â€œTV App Storeâ€. The Samsung TV App Store is the first in any television innovation. It is a store that programs useful TV applications that meet and cater to the numerous demands of our TV viewers. 3. 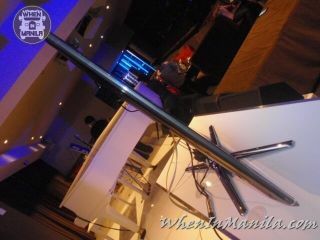 Designed to make an immersive TV experience easy and enjoyable for you. The Samsung Smart TV is a state of the art technology born out of modernity as seen in its sleek, ultra-slim design, making it a thing of beauty to marvel about. But more than its aesthetic value, you can also get to experience all of its features through a wide and crisp display of a Samsung 3D-compatible screen with the first-ever 3D sound system. Moreover, it also offers the convenience of a touch-screen remote control, that makes everything much easier and more enjoyable. 4. All-share feature that lets you synchronize content from other gadgets. The Samsung Smart TVâ€™s â€œAll-Share Featureâ€ uses wireless technology to let you synchronize content from other gadgets and devices such as your laptops and mobile phones, so you can store files, listen to music, view pictures, or watch your own videos. 5. A TV with an advocacy. Committed to provide greener way of living through its innovative technology, Samsung designed this TV as energy efficient by introducing LED TV, LCD TV and PDP TV. With a Samsung Smart TV, we equate watching TV with saving the environment. 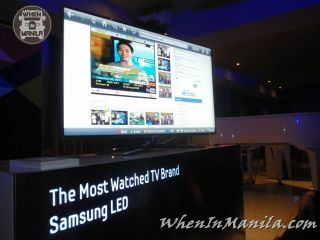 On April 7, Samsung formally launched an exclusive bloggers promo entitled â€œThings you can do with a Samsung Smart TVâ€ – a promo where we ask you to tell us what you think you can do with a Samsung Smart TV and get a chance to win one. 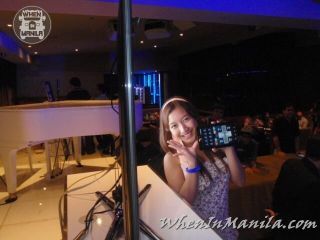 All you have to do is to blog about it and tag us on Facebook @Samsung TV PH and hashtag us on Twitter @samsungsmartTVPH. 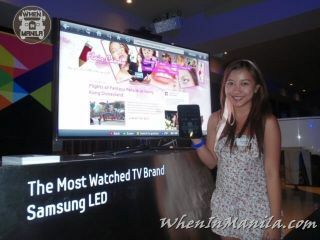 The most number of creative blog entries may be the lucky owner of one Samsung Smart TV on its Philippine launch. Thanks for spending the time to discuss this, I feel strongly about it and love studying more on this topic. 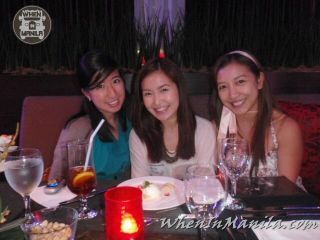 If doable, as you change into an expert, would you mind updating your weblog with more details?